Stiftung Edith Maryon was created in 1990. The foundation’s mission is to secure socially responsible places of residence and work, and to promote transparent land use, mixed-use development and green building. By acquiring real estate and signing long-term building leases, it moves properties out of speculation and makes them available for self-administered and self-accountable socially relevant uses. Besides providing affordable housing, it also owns properties that are in socio-cultural uses. The foundation supports social, cultural and housing initiatives by offering assistance in project development, in the use of alternative legal forms and financing models. What are the motivations and core values that brought together Stiftung Edith Maryon? The foundation was founded in 1990. What makes it unique is that there wasn’t a lot of capital available to help fund the foundation’s establishment. It started off with only 12.000 Swiss Francs, this is basically nothing for a foundation of this type. It was founded by three people who had the vision: the idea to create a foundation that can take land out of speculation and that one can contribute to with land. One of them was a banker, and he is still active in the foundation. The second person was an architect and the third, a carpenter. They had some important knowledge for this kind of foundation. They hoped that land would be offered to the foundation as gift and as inheritance, and that they could also raise zero interest loans. This is what happened: they met people who gave them money and gifts to support the idea. Perhaps this was possible mainly because in Basel and in its surroundings, there is a strong tradition of patronage. In fact, there were several people over the years who decided to support the idea. The foundation began to grow step-by-step, obtaining revenue from the land and recycling it into new projects. When was the moment the foundation began having enough capital to invest in buildings? It was actually quite early, already in the first years. The foundation could raise cheap interest loans from the state for social housing. With all the loans put together, it was possible to build four apartment buildings. It was one of the first projects of the foundation. Later on of course, once you have a land and some private equity, you can go to the bank and say “please give us a loan for the next project.” So it grew over the years. How did you identify the field the foundation wants to work in, and how did you start selecting the initiatives you were supporting or investing in? That is one of the questions that are not easy to answer because we have no real strategy for investment. This is because in our foundation, we do not have large amounts of money just waiting for investment. We do not have a strategy such as the kind typical commercial investors would have, in which they know that they want to invest a certain sum of money in a certain region, or certain kind of housing, over the next five years – this we do not have. This is because the projects themselves come to us; a group of people, a family, somebody who wants to make a legacy, they come to us and we meet and discuss the project, the building or whatever is needed. And then we start a new project. Practically, this could be everywhere, but of course, it started in the area around Basel, where the foundation was founded, and where the founders knew people. This is a typical networking effect. Later on, other people with projects came to the foundation from other places. Berlin started to be one of these places. 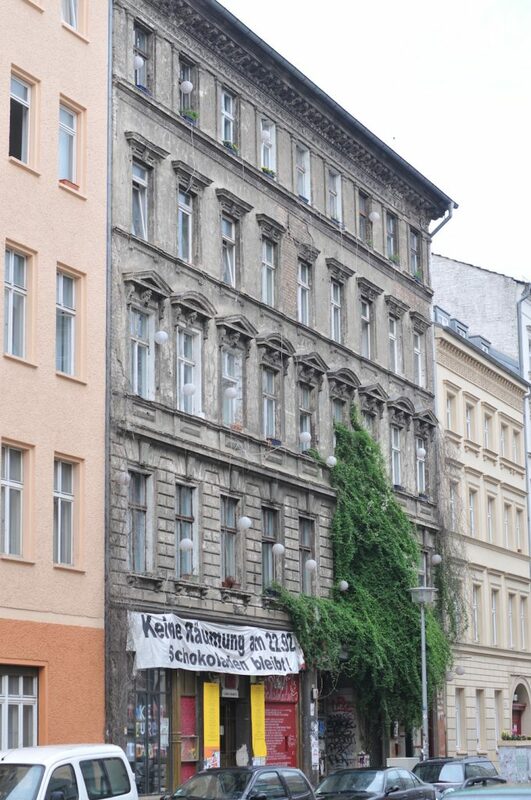 Our first project in Berlin came to us because a lady who knew the foundation inherited an apartment building, but did not want to hold it by herself. It is all about networking and chances taken. Please give an example for a typical property project of your foundation. In Basel, we have a very typical project, the Unternehmen Mitte or Mitte Enterprise. This is also where we are based; our office is there. 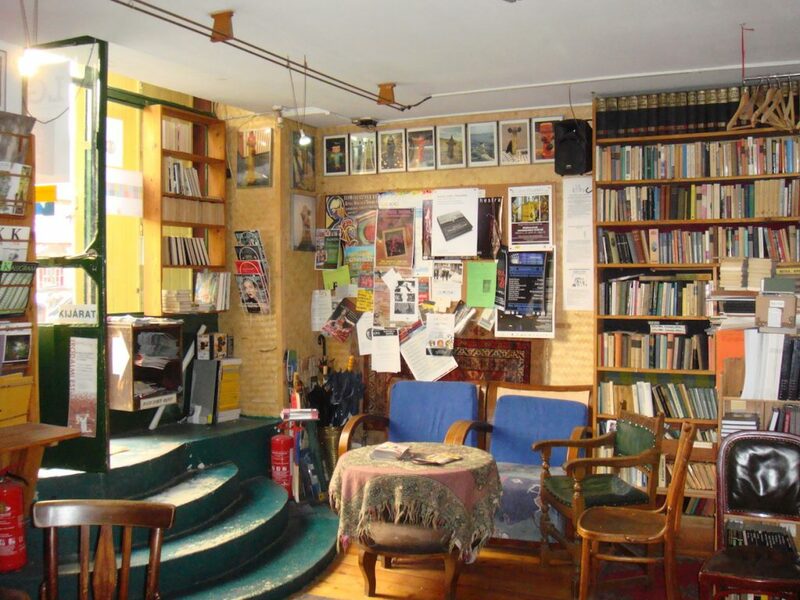 It is a cultural centre: it has a coffee house where you are not obliged to place an order, you can just sit, read or look around and relax, meet with others, use the free Wi-Fi. It also functions as a venue, a place for events of almost all kinds. The upper floor is used by various tenants working in the cultural fields. 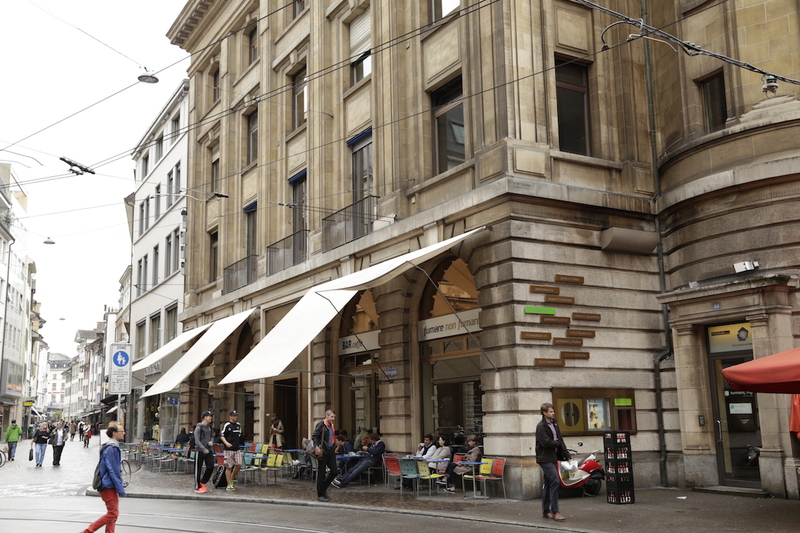 The space speaks for itself: it is run differently from the conventional property operations in the centre of Basel. Speculation and maximising the yield from land makes properties very expensive: once you take speculation away, it suddenly makes many things feasible. This is our approach. Can you also imagine working in non-German speaking countries? In fact we concentrate on German-speaking countries: just a few years ago we had a first project in Austria, because legal traditions are similar. We have one project in France, but this is not so easy for us, the legal tradition and the legal culture is very different from Switzerland or Germany. We have, in fact, even one project in Budapest, Nyitott Műhely. It is not a really big project, it is only two apartments. It is a very special arrangement, but as such, still a very typical case for us. We received a gift to support this small cultural initiative that does an important job within a difficult political environment. There was a person who knew this initiative and what kind of work they do: they talked to her and said “we have problems staying there, and it would be great if somebody could give us the money or could buy this part of the house, so we can be safe and stay there.” And this person made us a gift so that we could buy the space. It worked out. When you want to buy a bigger building or complex, and therefore you need more money, do you work with regular financial partners? What are your criteria of working with them? Our foundation in part works and thinks entrepreneurially, so we need good financial conditions, but of course, we also look at how the selected financial institution works: we usually go to financial institutions that have social and ethical background, but we do not exclusively go to ethical banks. What are the conditions for the initiatives you support or work with? It depends very much on the social ideal, the social strengths or weaknesses of the project, so the conditions vary from a little bit below market conditions down to very supportive conditions, particularly, if it is a non-profit institution whom we support with good conditions. How can your experience be scaled up and be connected with other initiatives to take land out of speculation? I think the prospects are quite good and awareness is on the rise. Especially the acknowledgement of the role of the land in our economy and for raising money from it. Increased awareness allows room for many experiments: for instance, the Community Land Trust Movement, that is very strong in the US and in Britain, now comes over to continental Europe. In France, they start creating community land trusts, in Belgium they already have some, and I think it is only a question of time until it also happens in Germany or in Switzerland. In Switzerland we have a strong cooperative movement and of course foundations, so maybe the need for a new legal structure is not so large, but as awareness increases, several new initiatives pop up almost throughout Europe. 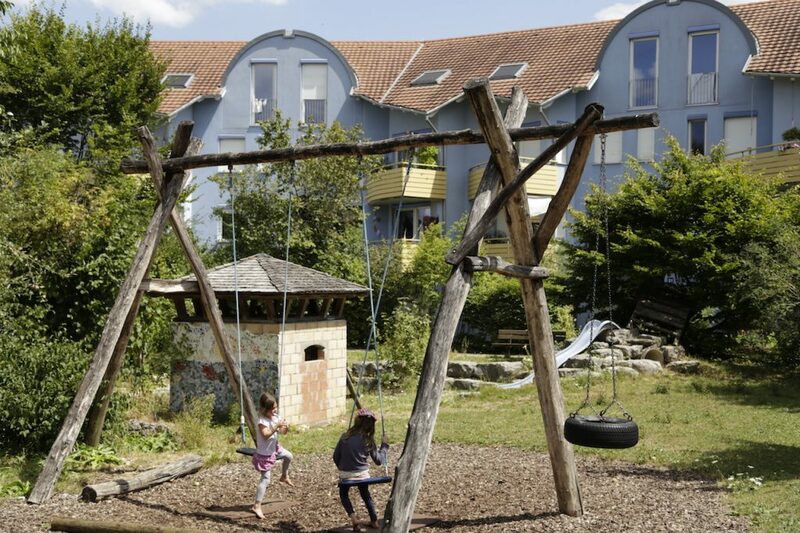 There is Mietshäuser Syndikat in Germany for example, and they are growing as well: they just founded a Mietshäuser Cooperative last year in Basel, and they now have two houses with them. We have some smaller foundations in Switzerland, such as ours, and trias in Germany, and I think it is very good and important that more initiatives like these are being created. As awareness grows, the chances and prospects of this movement increase. This is also shown by the success of the Bodeninitiative (land initiative) here in Basel, where a people’s referendum decided with a 2/3 majority to prohibit the selling of public land in the future. Of course, Basel is a special case, it is a small canton and a very densely built and populated area, but it was still interesting to see how many people were aware of the importance of land ownership. What is your relationship with the public sphere, which normally should be undertaking these tasks but do not? Well, we do not really work together much. Sometimes there is some contact, in Basel we had the possibility of buying a small piece of land owned by the canton, but the treaty has not been signed for other reasons, connected to the initiative that wanted to run project. In Berlin in fact, we already bought land that was owned by the local government’s Real Estate Fund. The cultural administration came to us and asked if we could help: the Real Estate Fund had the task to sell that piece of land, but the cultural department did not want this land to go just to anybody. They asked us to buy it. We said that we could buy it for a fair price and guarantee cultural use for at least 15 years. We agreed on this and the contract was signed. It means that the public administration needed you to create a guarantee? It feels like you fill the gap between parts of the public administration and citizen initiatives. Yes, it is really funny, but also a bit tragic. It is because Berlin is in need of money, liquidity. Of course they should do the job themselves. In the long run, keeping the land would be financially better for the state and for the public. But politics are different, and their priorities are to raise money now, and then see. Future generations must see what to do. 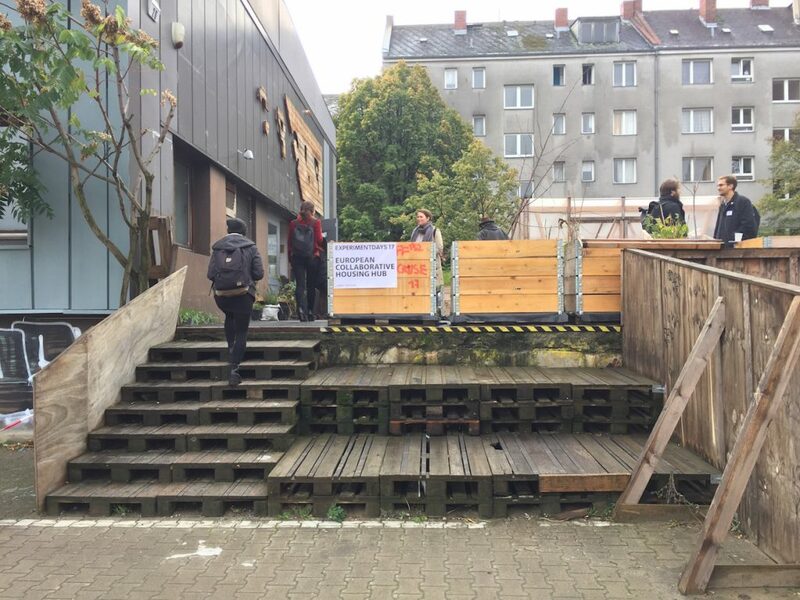 In another case, also in Berlin, there was a very strong conflict between tenants and the private landholder, so they could not come together to find a solution for their conflict. And there again, the local administration came to us and asked if we could solve this conflict. We found a solution and made a deal together with the private landholder and the Berlin local administration, so everybody was happy at the end. The private landholder received another piece of land, it was from the public land, and in exchange we bought his piece of land and made a long-term building lease with the tenants. Where do you see your organisation in 10-20 years? Could scaling up might change the very nature of the foundation, losing personal relationship with all the initiatives? Of course it could happen, and therefore it is probably the best if hopefully more initiatives like ours grow and find their own approach and own way. Diversity, I think, can be very helpful. At one point there is a point where you have to decentralise structures. In fact, recently both in Switzerland and in Germany, we started to create and work within sub-structures. They help us in being really in touch with all projects. Basel, Economy , commons, community, economy, ethical bank, finance, Funding the Cooperative City, heritage, housing, ownership, renovation.